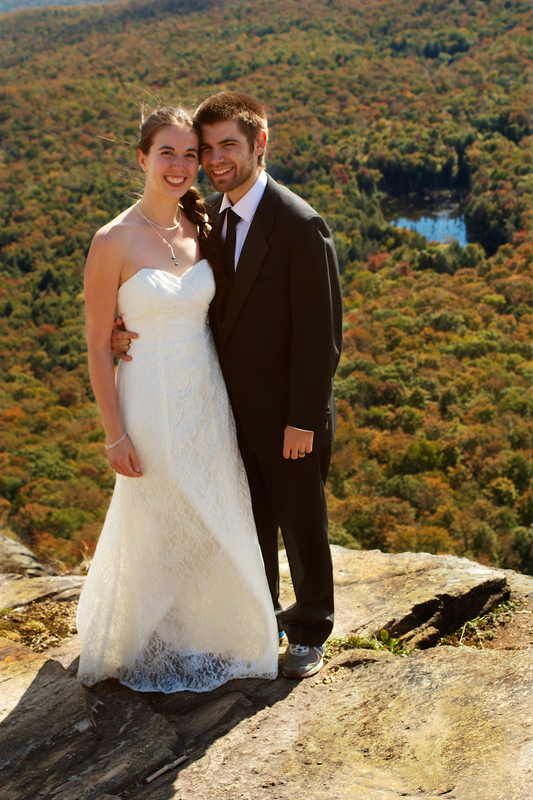 A bride and groom embrace as they look out over the landscape. A cutout from the invitation incorporated into the floral centerpeice at the Audette-Barren wedding. Kris shows off his dance moves and Heidi shows off her sneakers after tying the knot! Cousin of the groom and friend of the couple at the Bryson-Gramlich wedding. Bridesmaid Quinn visits in between dances. Friends of the couple enjoy the maid-of-honor's toast. A picturesque shot of Kris and Heidi after the wedding. 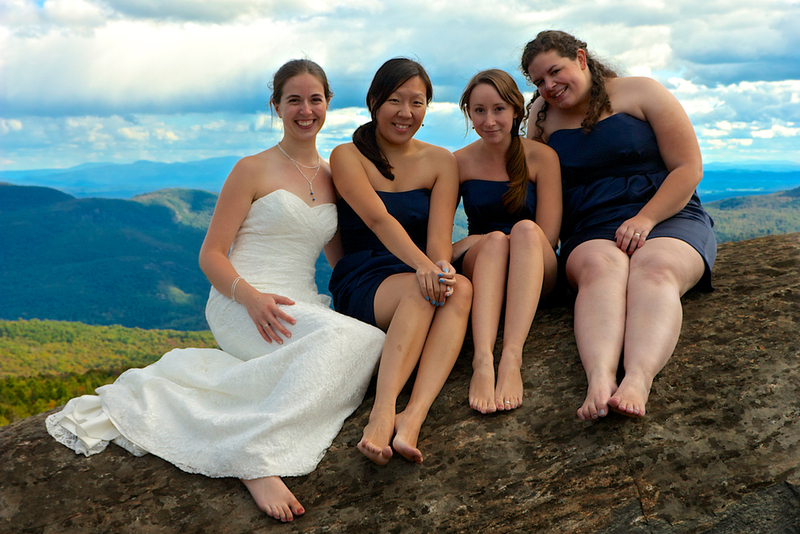 Heidi and her bride's maids enjoy a little barefoot girl time! Bridesmaid Sarah gives her approval! 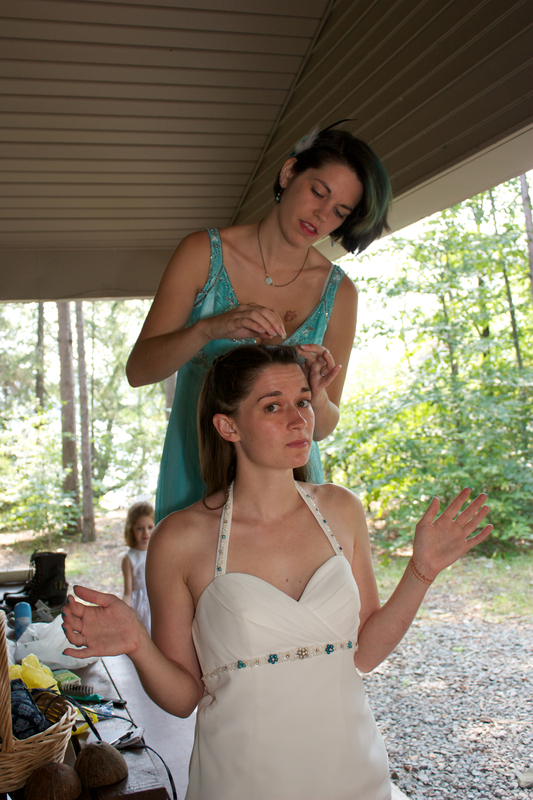 Bridesmaid Bonita does Kate's hair while her nails dry. Kate's sister escorts the ring bearer, L, to the wedding. Kate and Chris really know how to boogie! Brianna plays with her veil. A contemplative bride before the wedding. The ring bearer hugs his aunt at the Rattray-Grevelding wedding.